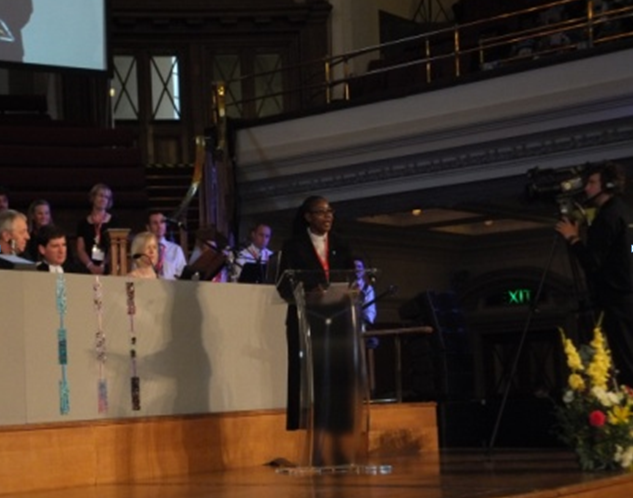 The world Conference of the Methodist Church for 2013 took place in London, England from in July 2013. Delegates to the Conference included leaders of the Methodist Church from all the regions of the world, and special delegates from partner churches. The United Church of Zambia, being a partner church, was represented by its General Secretary, Rev. Peggy Mulambya-Kabonde. The leaders of the churches met in order to receive, discuss and make decisions on reports and recommendations, and make plans and give a global direction to the Methodist Church. The conference also provided an opportunity for the Methodist Church to exchange ideas and experiences with partner churches and redefine areas and ways of cooperation. some of the very important topics covered with relevance not only to the Methodist Church, but the Church Universal, including the United Church of Zambia. A report based on research findings revealed that there was an increasing number of Church Workers suffering ill health principally due to aging, work over-load and work pressures. Church workers were advised to schedule their work so as to reduce overworking and unnecessary pressures, and to do some physical exercises. Fellow Church Workers were urged to be each ‘brother’s keeper’ by giving care and counsel to Church Workers in the neighbourhood seen to be in ill health. Prevention than curing was the recommended maxim. 0n the other hand, the Church was encouraged to run seminars for church Workers on such topics as ‘job scheduling, preventing burn outs, good health practices’ and to adequately provide for medical care in the conditions of service. This was a topic of particular interest especially to churches in developing countries. The majority of developing countries do not have foolproof tax assessment and collection systems. Hence, Transnational Corporations do take advantage to under-declare and under-pay tax to governments. The Conference was informed that if taxes were paid in full, most countries would need much less financial assistance and loans from the developed world. 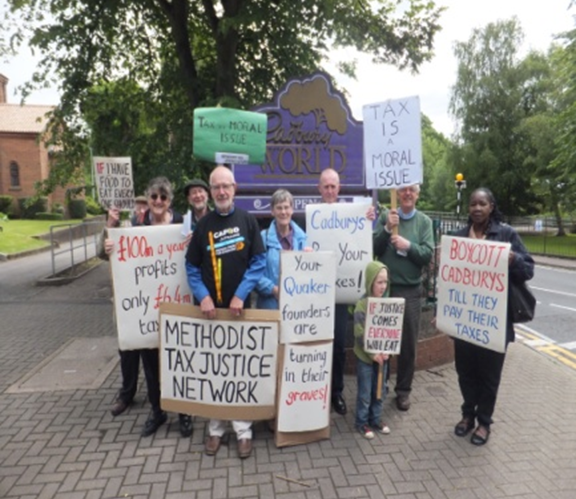 The church worldwide was invited to crusade against tax evasion (dodging) following the example of the ‘Methodist Tax Justice Network’ campaign established by the Methodist Church. The involvement of the Church in the crusade against tax-evasion in Zambia should be done under the aegis of the Council of Churches in Zambia. Delegates put up an anti-tax-evasion crusade. Between 2000 and 2010, 33 sub-saharan African countries received US$282.5bn via Forign Aid. During the same period, US$353.5bn was taken out of these countries as capital flight, leading to a net loss of US$71.0bn. It is important that Zambia joins forces with other countries to fight tax evasion. During free time, the General Secretary and other delegates visited the West Minister Abbey, St Paul’s Cathedral and Parliament Buildings in London.